The Usyd Women's Collective and member of the National Tertiary Education Union (NTEU) protesting the University’s professional connection to accused sexual predator Charles Waterstreet. Jazz Breen is the preselected co-women’s officer for 2019. The University of Sydney Women’s Collective has been an active feminist voice on campus for the last 40 years, forcing the University to take action on women’s* issues, primarily by organising against the prevailing culture of sexual assault within the university community. Over the last few years the collective has had success in forcing the University to reform its attitudes and policies around how sexual assault is handled. Successes include the Human Rights Commission into sexual assault on campus and the implementation of the “consent matters” module. The USyd Women’s Collective has set a precedent of change for other universities around the country. However, this essential work done by the collective is under attack from a right wing coalition within the newly elected 2019 Student’s Representative Council. This coalition is set to undermine the collective by disregarding its preselected women’s officers for 2019. Doing so will break a long-standing tradition of collective autonomy. Autonomy means the collective makes its own decisions; it does not answer to the SRC, and instead makes decisions through a vote of its members, who must be women or non-binary students. Traditionally, these members choose their own representatives: each year, they hold an internal election to preselect two candidates. The SRC then ratifies this preselection by electing the pair as the official SRC women’s officers, who receive a stipend and extensive resources for their work. Autonomy is the reason the collective has been so successful in its work. Empowering the women’s collective to choose their own officers allows for institutional knowledge and support to be passed from one generation of women’s officers to the next. This year, however, the right wing coalition has decided to put forward members of their own political factions for the Women’s Officer position. This move will see the collective stripped of the essential resources of the SRC, with the paid position being passed on to two women who have never been active within the collective, nor officially joined as members. This will mean that the collective will be unable to continue the essential work done by previous women’s officers and active collective members, on important issues such as fighting sexual assault and pro-choice activism. 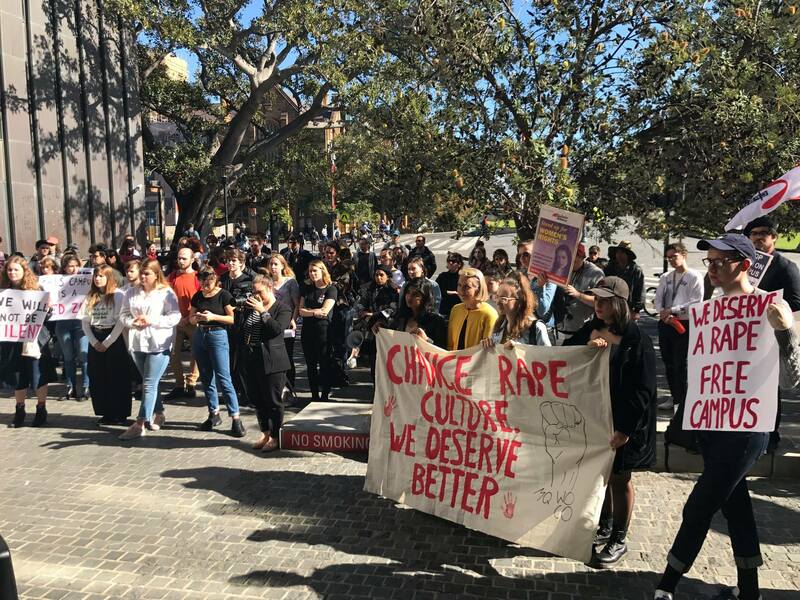 Since the release of the Human Rights Commission report, which showed that sexual assault and harassment is rampant on university campuses around Australia, USyd has finally been forced to make changes to the way it approaches sexual assault on campus. This year brought with it the implementation of the consent matters module, which is now compulsory for all incoming students (20,472 students have completed the module as of 4 July 2018) . This year has also seen the release of a new reporting portal, allowing students to report cases of sexual misconduct to the University. Through its work, the Women’s Collective has fostered relationships with unions, such as the National Tertiary Education Union, and has worked with University staff on campaigns. For example, staff and students came together to protest accused harasser and lawyer Charles Waterstreet and his connection with the University. Soon after this action the University removed Waterstreet’s advertisements from their website. Actions like these are only possible because of the backing of a strong group of people who are invested in and passionate about the work that the collective carries out. Why is the collective under threat? The Women’s Collective is autonomous, but its relationship with the Student Representative Council is important for its work: the women’s officers are, traditionally, the collective’s representatives, but are also a formal part of the SRC. 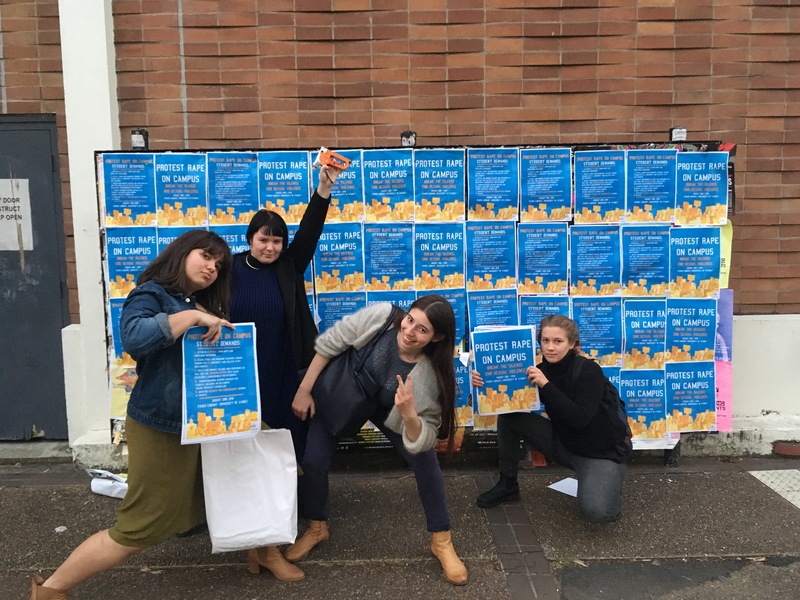 This position allows the collective access to a budget, channels through which to meet with University bodies, reports published in Honi Soit and a weekly stipend. Without the support of the women’s officers, the collective itself will find its work much harder. And likewise, without the support of the collective, the women’s officers will struggle to do their jobs as well. The Usyd SRC council has a history of respecting the preselected officers. 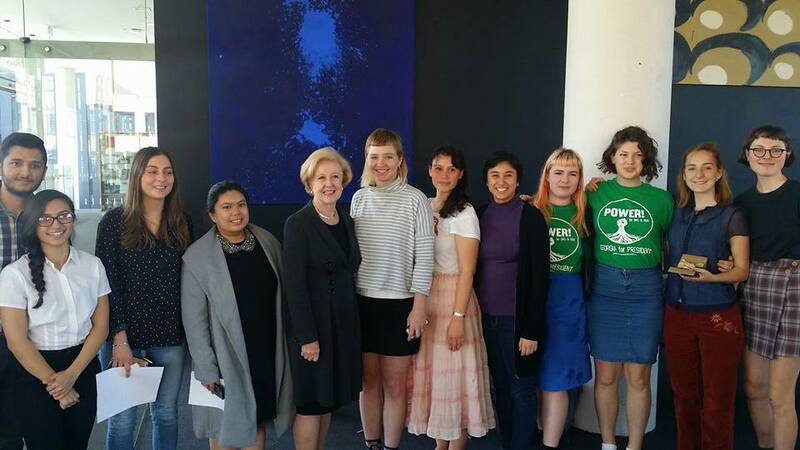 “The University of Sydney Women’s Collective has a reputation for being one of the most active Women’s Collectives in the country, and unlike student Women’s Officers at most other universities, the Women’s Officers at USyd receive a small stipend and budget which enables them to be more proactive in their advocacy.” – 2017 co-women’s officer and 2018 SRC president Imogen Grant. The SRC is a traditionally progressive organisation, with its three pillars being “activism, advocacy, representation”. The rise of this year’s conservative bloc risks changing that. This newly formed conservative alliance has a majority of council votes and so can vote their own members into major SRC positions. For women’s officer, this bloc wants to elect Crystal (Zifan) Xu and Gabi Stricker-Phelps, who ran for council with the political groupings Panda and Shake Up, respectively. Neither Xu nor Stricker-Phelps belongs to a political party. But the two groups they ran with have known conservative ties: Shake Up’s election campaign was organised by Moderate Liberals. And key figures in Panda, including USU Board director Hengjie Sun, have strong alliances with the Liberals. Neither Stricker-Phelps nor Xu have ever been involved with the women’s collective. Being a women’s collective officer requires dedication to and experience with activism. It is not a position to be taken lightly. Sexual assault and harassment is still rife on campus and fighting against that is a strenuous commitment. With no previous experience in the SRC, and no collective support, Stricker-Phelps and Xu seem to have been pushed into a position without a full understanding of the weight of this decision. I don’t expect that those who voted for Crystal or Gabi’s ‘feminist’ SRC tickets expected that the work of the women’s collective would be undermined by these elections. Without the SRC’s resources, the collective’s activism will suffer. This will ultimately divorce the collective and the work it does from the SRC as a whole. The incoming president elect, Jacky He (Panda), has set a precedent of disrespecting and undermining the work of the SRC before he has even stepped inside the office. He has been instrumental in the decision to undermine collective autonomy, and has disregarded all attempts to sway him from the decision. Panda and the Moderate Liberals (the force behind Shake Up) are controlled mostly by men who have no respect for the work of the women’s collective. Male factional leaders have made the decision to allow the rolling of the preselected women’s officers, using their power to silence women on campus. Attempts have been made to reason with these groups: the current and previous women’s officers have spoken to He, Xu and Stricker-Phelps at length, explaining the implications of their decision to roll the women’s collective. Yet money and power seem to have been more enticing than respecting the decision of their fellow female students right to elect a representative on their own accord. In a world recently shocked by the MeToo movement, a world becoming more and more aware of the sexism which affects women in every aspect of their lives, the course the incoming SRC has taken is astonishing: it is willingly undermining the important work of feminist activists on campus. If the decision to roll the preselected candidates goes ahead, it is obvious that this council pays little respect for the wellbeing of women on campus. *The use of the word women throughout this article extends to all women and non-binary students.